Hey, fellow Explorers! You may have seen in one of my many ramblings on social media that we head to Shanghai Disneyland and Hong Kong Disneyland in a few days! I wanted to start the trip with a small pre-trip report for you all. Just highlighting where we are staying and what the plan is. Also, where you can follow along while we are there. 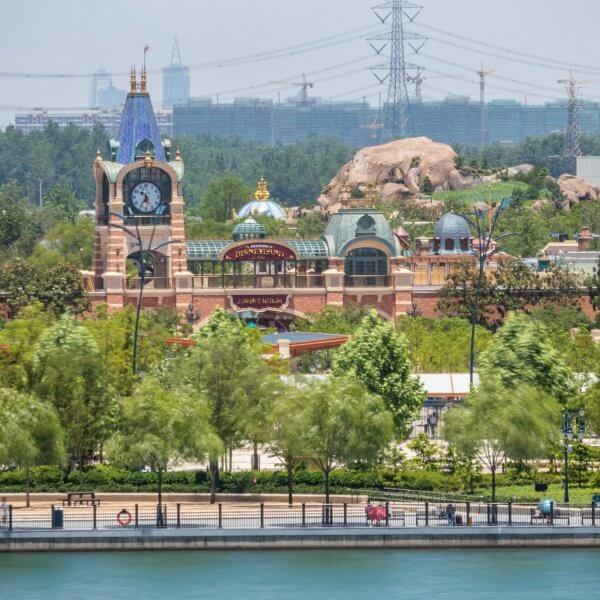 I am pumped for my second trip to Shanghai Disneyland 😄 The first trip was back in June 2016 for the Grand Opening — you can read parts one, two, three, and four along with our special podcast episodes here and here (You can subscribe to our podcast TDRNow over on iTunes). The first trip was a whirlwind, with all the hype and the opportunity to explore (see what I did there with the word play? Pretty clever, right?) a brand new Park. It’ll be fun to see how things have changed since the grand opening. On the first trip, I didn’t get to experience everything I wanted (so much to explore, so little time). So, my hope is this time I can knock off almost everything (Roaring Rapids is closed again). Other attractions I never got to see were Seven Dwarfs Mine Train (I haven’t been to the one in Walt Disney World), Alice in Wonderland Maze, and Camp Discovery. We’re staying once again at the Toy Story Hotel, and having a late dinner at Aurora in the Shanghai Disneyland Hotel. After the trip, I will update the Toy Story Hotel review with more photos and video (room tour anyone?). We’re spending a full two days at the parks with one full day in Shanghai itself. So, expect to have more up-to-date tips on getting to/from the airport and into the city in our Shanghai Disneyland Trip Planning Guide. TRON in Tomorrowland is incredibly photogenic at Shanghai Disneyland. After our explorations in Shanghai, we fly down to Hong Kong Disneyland for 2-days in the park! The first part of the trip is a day in Macau and a day at Ocean Park (with a side trip to Victoria Peak in). We’re staying at the Disney Hollywood Hotel for a few nights — which is my third time at this hotel and it’s been fantastic each time and I promise I’ll get a review of it done. I am an annual passholder for Hong Kong Disneyland, so there’s no need to get park tickets. But, if you’re in need of tickets head on over to our Park Tickets page and get yourself some discount park tickets (I also have a coupon code for extra savings). The Iron Man Experience is one ride I am looking forward to (the first is Mystic Manor of course🙈 ). You also can never go wrong with Mickey and the Wondrous Book or the Mango Dole Whip Cone in Toy Story Land 🍦. After the trip, we’ll make updates to our Ultimate Guide to Hong Kong Disneyland too! I’ll post regularly on Twitter and Facebook don’t you worry. In an effort not to flood those social media channels with photos every two minutes, I’ll share a lot over on Instagram and Instagram Stories — so make sure to follow us there. Instagram Stories is a feature I have grown to adore and it allows me to share everything without bombarding your feed with a million photos of me riding Mystic Manor 🙊. We’ll be in Shanghai from February 25 to 27, followed by Hong Kong Disneyland from March 2 to 4. Just so you can keep an eye on your social feeds and follow along. Just a few notes if you’re curious. We’re flying Spring Airlines from Tokyo to Shanghai. Then the same airlines from Shanghai to Hong Kong. Followed by Hong Kong Express to Tokyo. I have a valid one-year visa for Mainland China, so I am not doing the transit visa. For the internet, we are using the same SIM card as our previous trip (which I recommend). Oh, and don’t worry, my brilliant Gelatoni Sweater is coming with me. You’ll see plenty of photos. 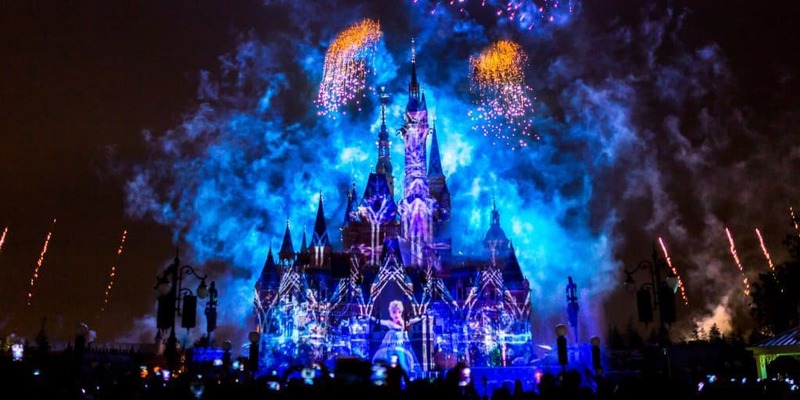 Is there anything, in particular, you’d like us to find out for either Shanghai Disneyland or Hong Kong Disneyland (or just travel in general) that we haven’t covered in either of our guides? One last note, if you’re in the parks during any of the dates above stop by and say “Hi”! Alright fellow Explorers, talk with you soon! Thanks for all the helpful tips…my friends and I will be traveling to Hong Kong Disneyland, Shanghai Disneyland and Tokyo Disneyland/Disney Seas in April this year….your articles are fantastic and are helping us with our trip…keep up the good work- thanks a million!